If you want to enter government service, Civil Service Eligibility is important. And every year the Civil Service Commission is conducting an exam to those want to have eligibility. This time the Civil Service Commission (CSC) reminds interested individuals to file their applications early as acceptance is on a first-come, first served basis. The Civil Service Commission Regional and Field Offices have started accepting applications for August 6, 2017, Career Service Examination-Pen and Paper Test (CSE-PPT) last Monday. The deadline for submission of application is on June 2. Four pieces of recently taken (not more than three months ago) passport sized (4.5 cm x 3.5 cm) I.D. pictures in white background, showing the applicant’s bare face (without eye glasses or any accessory that may cover facial features), and with hand-held and written name tag legibly showing the applicant’s signature over printed full name. Original and photocopy of any of the following I.D. cards which must be valid (not expired). If the I.D. card has no indicated date of birth, original and photocopy of birth certificate issued by the Philippine Statistics Authority (formerly National Statistics Office), or the Local Civil Registry printed on security paper. 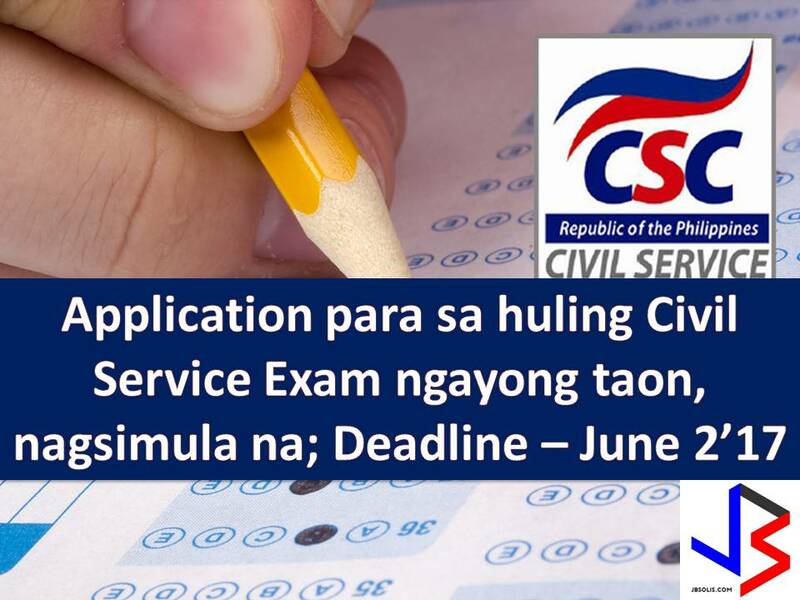 Applicants must personally submit their application at the CSC Regional Office (CSC RO), or at any of the CSC RO’s Field Offices, where they intend to take the examination. Examination fee for both levels of examination is PhP500.